I’m starting to like this whole jazz-infused thing going on over here. Getting the horns of it, so to speak. This even though, to be completely frank, this new Christian Scott aTunde Adjuah project titled Ancestral Recall could hardly be contained within conventional and canonical jazz qualification criteria. Still, for starters, Apple Music and editorial co. do choose to file this release under said genre tag, so there you go with some industry machinery validation to all skeptics’ faces. In any event, with pigeonholing adversities out of the way, fact of the matter is that this new album by the New Orleans-native trumpet extraordinaire went on to steal my new heat scene ever since dropping last Friday 22nd March without too much fanfare. Issued jointly by his home-brewed imprint Stretch Music LLC and US East Coast label Ropeadope Records, Scott’s new joint sports a full hour of new material, broken down into twelve distinct cuts, which see the jazz composer/producer reach out for assistance to a decent list of collaborators, ranging from influential hip-hop musician, slam-poet, and activist Saul Williams to up-and-coming Bronx MC Mike Larry Draw. Other similarly drafted acts joining the project ranks are usual suspect partner in crime and flutist Elena Pinderhughes as well as alto saxophonist, composer, bandleader, and producer Logan Richardson. Such a collaborative spirit is not only reflected in the varied batch of team-ups established to complement to the sonic palette of the record, for this quest for musical cross-pollination and style contamination is also mightily reflected in the genres and sounds throughout Ancestral Recall. Through his latest effort, rather quite explicitly, the trumpet, cornet, flugelhorn, and soprano trombone prodigy sought to create “a map to de-colonialize sound; to challenge previously held misconceptions about some cultures of music; to codify a new folkloric tradition and begin the work of creating a national set of rhythms; rhythms rooted in the synergy between West African, First Nation, African Diaspora/Caribbean rhythms and their marriage to rhythmic templates found in trap music, alt rock, and other modern forms”. Faithful and devoted to his mission statement, Scott managed to draw all the suitable elements from a globe of musical jigsaw-repertoire to craft a superbly modern and audacious melting pot captured in form of a jazz record. Spanning everything from indigenous and tribal percussion rudiments, electro-industrial drum machines, sweet and sugary melodic soundscapes, intricate horn lines, free jazz suites, and of course 16-bars, multi-ethnic influences and anti-colonial creativity get tastefully entangled to output a coherent and unified listening journey. The album’s eponymous lead single, released in early February, acted as vehicle for a first – partially misleading – sonic taster of the multi-modal canvas Scott was going for on his fourteenth studio effort. Presenting a hectic and frenetic lead rhythm extrapolating a percussive mix of djembe, mande drums, kaganu, tambourine, kalimba, bata, and congas (good luck figuring out which one’s which…), it runs on continuous high energy and drive throughout all of its six-minute runtime. Rallying with Williams’ pensive preaching spoken-word lines, this track’s sharp intensity only ever gets matched by the mechanically hammering and gorgeously melodically lush “I Own the Night” at number two on the tracklist, and perhaps tangentially by segments of the jungly “The Shared Stories of Rivals (KEITA)” – both incidentally enlisting Williams’ wordplay and co-sign. Make no mistake though, despite the A-list feat and the driving flame of this lot of tracks, heaviness and density do not account for an overshadowing of more laid back, reflective, and mellower moments on the album. Vulnerable and fun opener “Her Arrival”, for instance, lands on the shorter side of track lengths yet baptises the auditory lifecycle of Ancestral Recall in an outstanding fashion, with its quasi-celestial crescendo of trumpet, flute, and flugelhorn lines exploding in a fulfilling cascade of waterfall-y harmonies, sustained by subtly glorious choir chants. Further down the tracklist, the middle section of this LP allows for a relaxed breather in a way that, unfortunately, is not always on point and successful, resulting very run-of-the-mill. While the spaced out reverb of “Diviner” cradling tribal horns atop of a contemporary trap beat might at least induce a hint of curiosity and warrants to be admired for its experimentation, “Overcomer” at number six can’t seem to offer anything noteworthy in the way of daring to overturn predictable compositional standards of the genre, unlike much of the rest of the tracks on this project. Likewise, song number eight “Ritual (Rise of Chief Adjuah)” checks in as a totally forgettable record, offering second-hand and unoriginal aesthetic elements found in much better form and rendition in tracks like the glitzy and tender “Songs She Never Heard“, or in penultimate mash-up “Double Consciousness”. An entirely distinct commentary and reflection is owed to the Chris Turner and Mike Larry Draw-assisted “Forevergirl“, a fuzzy and reverb-soaked indie-acoustic number offering a supreme melodic texture embedded in a warm jazzy horn frame. Yes, you read that right. On here, soul-jazz NY crooner Chris Turner lends the tune the necessary vocal depth in order to fit both a main acoustic guitar riff that sounds as if sampled from a Front Bottoms demo and a marching syncopated tambourine rhythm. Granted, the overall mixing and mastering of “Forevergirl” does leave a little bit to be desired, yet when paired against the rest of the production output delivered on Ancestral Recall, this rendering ends up sounding more like a conscious stylistic choice weaving into the tune’s lo-fi B-side vibe, than an actual flaw in the creation process. Young rapper Mike Larry Draw provides one of the highlights on this thing with his bars peppered towards the front-end of the track, showcasing a fierce attack to the drumming beat carried forward by a decisive and swagger-ish flow. More than anything though, this flagship tune has us go full circle with the premise of this review: this is as much a modern mainstream jazz record as it is a colourful kaleidoscope of sounds and 360-degree world cultures. Arguably, no single song on the album displays the vast multiplicity of such traits better than “Forevergirl”. So let us hear it straight from the horse’s mouth, as he spoke to The Fader about the track earlier this month. But please make it what you want. After all, didn’t we all just learn that in Christian Scott’s music, anything goes? Yes indeed. It’s true. I was going to entitle this written prose Two Decades Under The Influence, or a similar derivative, toying with the idea of sliding in an intended fan-verified pun, recycling and distorting the title of one of Taking Back Sunday’s most distinguished and memorable cuts repurposing it for recounting the bells and whistles of the New York outfit’s celebrations of twenty years as a rock band. Yet, after stumbling upon one review after another from media outlets and publications on the Interweb employing exactly said double entendre, I profusely discarded the embryonal idea, letting it symbolically escape out of my conceptual editorial window. Don’t get me wrong here, it’s a brilliant and funny witty little joke that addresses and presumably pleases both long-time avid supporters as well as occasional in-n-out “fast-food” listeners of the group, but hey, enough is enough and we all know that even a delicious tomato soup meal can become nauseatingly redundant if repeatedly served every single day. Notwithstanding the above, however, there should at this point be an important content disclaimer for the whole entire esteemed readership willing and wanting to continue progressing with a perusal of the present blogpost; this owned and operated body of text deals with the most influential band on yours truly, a band that started it all for this site – one that even named this web property, for Christ’s sake – and a group whose compositions and performances have even made it onto my very epidermis and heart, straight as an arrow, multiple times. What one should take away from such an eloquent and explicit warning, I figure, is that a miscellaneous semiotic salad of insider knowledge, pre-existing notions, double entendres, puns, and subtle wordplay references are to be abundantly expected throughout this creative appraisal. For better or worse, whether we like it or not, I can’t help it and you can’t either. It all starts with the title appointment of this post ending up being Twenty-Twenty Surgery, partly honouring a much overlooked and under-appreciated track off Taking Back Sunday’s biggest and most successful album, Louder Now, but mainly inherently implying a birthday wish to the band for as many more years of thriving artistry as the ones they’ve just left behind them. Anyway, I guess this is the final call to provide you all with the newsflash component of this update, before we get irreconcilably lost in digressive by-topical rabbit holes. Yesterday, Friday 11th January 2019, was a majestically important day for Taking Back Sunday. Yesterday, the alternative rockers officially released their fabulous career-retrospective 21-track compilation, dubbed Twenty for the occasion. The LP aims at celebrating and cherishing their best work over a long and accomplished journey as a band, that started at some point back in 1999. This 20th anniversary collection of tracks features shortlisted best-of cuts off all of their seven studio albums, starting from their 2002 seminal and trailblazing angsty emo debut Tell All Your Friends coming all the way to their most recent solid rocker LP Tidal Wave, dropped in 2016 to decent critical acclaim. To switch it up from such a melancholically somber spot, here’s a little piece of trivia for you all: it turns out it was drummer Mark who actually started it all for the track, coming up with the initial rough melodic draft as well as the overarching thematic subject matter the song ended up encapsulating: “You’re too far gone / To know where it goes / And I know you’re not coming home / Done too much wrong to know what’s right / And it’s too late to say goodbye“. Albeit perhaps surprisingly to some, those familiar with the Long Island emo veterans should know that Mark is not new to coming up with excellent and beautiful “early-days” riffs, licks, and motives that provided the backbone foundation for some of Taking Back Sunday’s most convincing and solid songs in their entire discography, such as the punk-rock stunner “Tidal Wave” or the gorgeously dark, vintage, sunburnt gem “This Is All Now“. Maybe it isn’t that surprising after all, that for a seasoned twenty-year-old band, who during the course of its life went through multiple incarnations, transformations, and line-ups – including charismatic scene veterans such as Jesse Lacey, Fred Mascherino, and Eddie Reyes – the longest serving member to date would be that best equipped to faithfully originate and translate the group’s zeitgeist into a sonic consensus that can still speak and resonate in such a captivating way with the audience. A special mention here is also due for frontman Adam – incidentally the other longest active member in the band – who after ramping up on his sound engineering and production knowledge by attending a specific programme on the subject during his spare time, saw fit to double as sound engineer for said two new tracks, saving the quarter a substantial amount of money and awkward producer-artist conversations in the studio. Obviously, Taking Back Sunday is bringing the whole celebratory shebang on a global album-play tour, whereby for most legs of the live run faith and fortune will decide which combination of their first three albums (Tell All Your Friends, Where You Want To Be, Louder Now) the group is going to perform in full when and in which city. Which brings up a good point, frankly an unavoidable one whenever best-of compilations come into play; namely the quality and nature of the actual shortlist of songs that made the cut for the retrospective musical statement. So, let us get this right: Twenty, despite its name, actually sports twenty-one songs, two of which are the brand new tracks we just went through above. That leaves us with nineteen repertoire songs, split between seven full length albums to choose from. A quick skim through the tracklist reveals how some records (Louder Now, with four tracks) are more represented than others (New Again, self-titled, and Happiness Is only provide two tracks to the compilation). Which is obviously fine and, truth be told, pretty legit and in line with the mainstream fans’ appreciative leitmotiv over the years, let alone the actual commercial success of some of those albums. However, there is one big elephant in the room that oughta be addressed at this stage, since we’re looking back at the whole artistic evolutionary arch of the group: New Again. The album that no one seems to enjoy and fully appreciate, fans and band alike. A personal favourite, but whose recording sessions in the studio were rumoured to be among the hardest and toughest the band ever had, with newbie lead guitarist Matt Fazzi acting as the wild card/odd man out and the unpleasant blather heard sneaking through the grapevine alleging that all of Eddie Reyes’ guitar parts got secretly re-recorded, unbeknownst to most in the camp at the time. New Again was the studio effort supposed to follow the world-wide stirring exceptional success and excellence of Louder Now, only failing miserably both in terms of fans/critical reception and sales. Look, I always have and forever will carry a ginormous soft spot filled with admiration and adulation for the 2009 LP (read: New Again, for the fast foodies). As far as a full album-listening experience goes, its curated sonic roughness, compositional resilience, patchwork of odd experimental time signatures, aggression of crunchy delivery, sublime guitar/bass work, and lyrical baggage, simply speak to me on a higher level than any other work outputted by the band, full stop. With that being said, I do believe that there are overall better individual songs found elsewhere in the New York outfit’s catalogue. Case in point, Where You Want To Be’s “A Decade Under The Influence“, “This Photograph Is Proof“, or “One-Eighty By Summer“. Still, to me New Again as a full length remains watertight, bullet-proof, and coherently unified from start to finish. Don’t @ on this one, as you wouldn’t even be reading these very lines on this very site if it weren’t the case. Yet all things considered, if Twenty as a collection of tracks walks like a duck, it should quack like a duck, and it is therefore only fair and compliant it faithfully reflects the band’s premiere musical output over the past twenty years in form of a best-of mixtape, in a relatively objective fashion and with the greater mass audience good in mind. With all this said and done: Dear Adam, John, Shaun, and Mark, here’s to another twenty years of marvellous career and success, continuing on your prime path of mending broken hearts, helping us decode relatable life experiences, enlightening darker times. But perhaps more importantly, here’s to maintaining a twenty-twenty vision on your mission to providing warmth and comfort to a myriad of scattered yet unified fans around the globe by way of goddamn good rock and roll tunes. We’re the lucky ones. 152. I’d like to thank you sincerely for taking the time to read this and I hope to feel your interest again next time. And happiest 20th birthday to Taking Back Sunday this time around. Now that Notes from Barcelona – the Punktastic-hosted featured column series about the alternative/heavy live music scene in the Catalan capital – has finally pulled its editorial curtains and wrapped up a wonderful twelve-months of steady correspondence, expect this site to get even more flooded and infested by fierce jazzy music reviews, in addition to perhaps scattered musings and banters regarding books, TV, and cinema content here and there. For this reason and with this premise, partly because noblesse oblige, partly because of the topical relevancy of the significant subject matter, some time and space ought to be devoted to a recently released album which is almost too big to fail (and therefore ignore). What I’m referring to is none other than Sir Paul McCartney’s latest and 18th enthralling studio album Egypt Station, an opus work of art masterminded by influential and skilled producer Greg Kurstin that has unconditionally and inevitably been on heavy rotation on EMS’s playlists and mixtapes, almost exactly ever since its release on the past 7th September. Yet at the same time, conflictingly, the team here (?) is wholeheartedly, platonically, and consciously aware that one can’t simply review a Macca album as if it were nothing and just get away with it. Some appraisal tasks are bigger than one’s self, and with recording and performing acts like the Beatle par excellence, there simply comes a point where he transcends whichever semiotic symbolism (read: language, words) critics and reviewers might opt in to use in order to attempting at describing inherent artistic virtues, or lacks thereof, of any given creative endeavour by Sir Paul. With that being said, the only thing I’d like to highlight and stress out, before embarking onto the actual music unit of analysis of the present critical assessment piece, is that the way Paul McCartney crafts and produces compellingly honest and raw storytelling through ornamented and layered melodies still goes unmatched. Much like a modern day raconteur or peasant minstrel distributing wisdom to his fellow villagers via insightful passages, Paul’s ability, or rather virtue, to construct simple yet universally addressable messages by way of simply-packaged and digestible power pop narratives is extremely sticky, and gains intrinsic value by the listen and by proxy of shared experiencing. Case in point, the tear-inducing and heart warming sly confessional of “Happy with You“, or the gracious and harmonic aesthetic of the very Beatles-esque “Dominoes“, all the way to Egypt Station’s more contaminated, experimental, and slightly left field cuts “Back in Brazil“, “Despite Repeated Warnings“, and album closer “Hunt You Down / Naked / C-Link“. No, ladies and gentlemen, I shall repeat myself, this isn’t a review in any shape or form, but just a testament of adulation to the biggest songwriter of our time and to his ability to instruct us all as to how to make sense of the world around us, almost since the world itself began, as Rolling Stone kindly points out when blasphemously reviewing the record: “Make a list of all the songwriters who were composing great tunes in 1958. Now make an overlapping list of the ones who are still writing brilliant songs in 2018. Your list reads: Paul McCartney. Sixty years after ‘Love Me Do,’ his legend already inviolable, Macca keeps adding new gems to his songbook, with nothing to prove except he’s the only genius who can do this“. Now, the main LP getting dissected and scrutinised in this article actually has more in common with Paul and the Beatles ecosystem than one might imagine at first. Yes, because sensational rap/hip-hop collective BROCKHAMPTON’s fourth album iridescence was in fact recorded and produced at London’s Abbey Road Studios in just ten days, and no one needs reminding how that is linked to the Fab Four. So let’s not kid ourselves and act as if this isn’t a big deal. BROCKHAMPTON, the hardest working boyband in show business and arguably the biggest revelation to come out of 2017’s Western underground/indie/DIY artistic underbelly, conceived their incredibly highly-anticipated (and frequently retitled) follow up to the fantastic and critically acclaimed Saturation trilogy inside The Beatles’ legendary creative hub, and no one bats an eye? Well, in fact, many did bat an eye and because of that, many a stories came out in the run up to the album drop on 21st September, all fuelled by a wide variety of juicy, noteworthy, and controversial discussion topics, ranging from the queer group’s revelation and stellar rise last year to the unfortunate and regrettable exit of key core member Ameer Vann earlier this Spring, following a wealth of sexual abuse allegations put forward against him. What’s more, iridescence appears to be the first sonic instalment of yet another artistic trilogy dubbed The Best Years of Our Lives, to be issued by RCA Records (via their own production house Question Everything) after the Kevin Abstract-executively produced mega-group signed a much talked about deal with the Sony-owned imprint in March this year. To be absolutely frank, the winding bias coefficient is not lost on me when approaching the artistic critical assessment of the fourth album of a performing act whose previous three full-lengths all featured in this site’s AOTY end-lists, during the same year. Nonetheless, the skilled and mixed race group’s influence and impact on the contemporary creative zeitgeist make for a kaleidoscopic perceived urgency that exists beyond any contributor’s personal preferences and warrants a judicial scrutiny all the same. Clocking in at just short of 50 minutes, and sporting a solid 15 tracks (including one and a half skits), iridescence kicks off with a grand slam in the listener’s face, with the fiery, hypnotic, and dingy “New Orleans”, sourcing top-notch deliveries by two of the boyband’s premier MCs, Dom McLennon (“When I die, these words gon’ need separate caskets in a hearse / I don’t rhyme, I freeze time and let these hands just do the work / I’m in tandem with my curse, going manic since my birth / See this canvas as I planned it, I’m commanding with my nerves“) and Matt Champion (“Bustin’ out the function, highly comfortable / Got this hot ting on my body, man my sweat lethal / Sweet kisses like the candy out the carnival / I’ma call my own shots, hit the audible“). After an unbelievably smooth and streamlined transition into what sounds like a Saturation-era-leftover, “Thug Life”, a powerfully dense trio of crunchy, distorted, and hectic cuts takes centerstage in this first half of the LP (“Berlin”, “Something About Him”, and “Where the Cash At”), lending a little too much messiness, although coupled with wonderfully intricate and layered vocal melodies, to the overall aesthetic. That said, the band’s mixing and mastering wizard Russell Boring aka JOBA’s outro on “Berlin” especially, is superior melodic songwriting, one that in the specific context of the moments of its happening takes the listener into a superlatively sweet, tender, and lucid direction after the intense and overwhelming sonic vortex populating the rest of said number. “Weight” at number six on the playlist is an outstanding piece of compositional craft that virtually ticks all the boxes of best-in-breed modern hip-hop hit making, while at the same time marking a clear and distinct departure from the rap collective’s Saturation trilogy-universe: sound, theme, lyrics, production, delivery, structure, and flow. You name it, this song kills it. 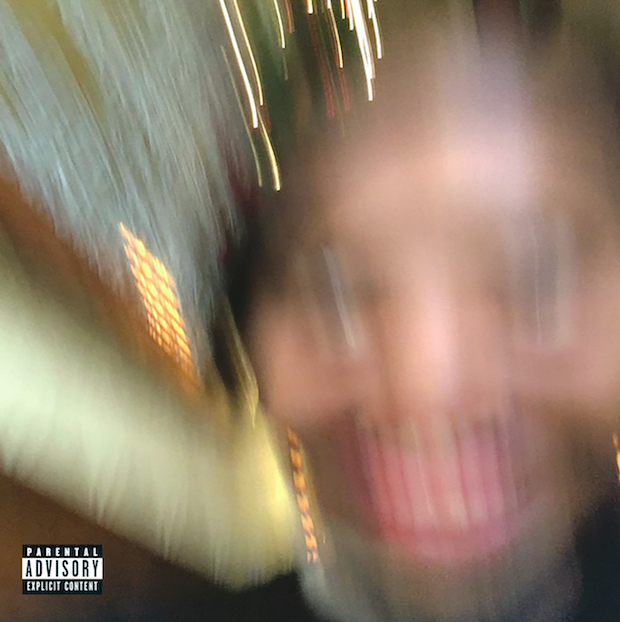 Moving on, the radically experimental and at times identity-less “District” wraps up side A of iridescence, glued together to its sister face by gorgeously pleasant filler “Loophole”, before diving into the grandiose and eerily dark-sounding and Radiohead-sampling “Tape” (on this one, take a moment to appreciate Kevin Abstract’s, JOBA’s, and Matt Champion’s damn fine flows and deliveries). Notwithstanding BROCKHAMPTON leader’s Twitter PSA warning, “J’ouvert” at number ten is the closest thing to a promotional single this project has got, and regardless of whether one wants to believe him or not, what a wonderful and striking choice that it. Everything from its tongue-in-cheek sound catchiness to each MC’s flawless vocal delivery, passing through the raucous, dangerous, and incendiary mood permeating the song throughout, “J’ouvert” hands down makes for one of the group’s most accomplished and astonishing tracks to date. What follows, “Honey”, is doubtlessly album peak to me, a stunningly creative and catchy patchwork that makes three minutes and change go by as if they were mere seconds. On this joint, heightened lyrical poignancy (“My people still dry snitchin’ whenever they touch the mic / That’s what happens when a therapist isn’t somewhere in sight / Take flight, never leaned to the left or the right / ‘Cause they turn the other cheek when our ni**as start to die“) gets coupled with fun and daring beats (that go as far as self-sampling Saturation’s chopped and screwed blasting gem “Bump” into a successfully reworked plug-in), but what takes this number up a millions notches is the unbelievably dreamy and heavenly elevating outro – or rather, second half – kicking in at about 1:35. Outta sight. Across its final four tracks, the album isn’t able to match its top crown-y moments, unsurprisingly so given how much quality material is to be found distributed across the previous eleven cuts. Regrettably, the pale yet weird and chaotic “Vivid”, as well as dull and reductive album closer “Fabric”, lower the overall masterwork-status average of this record, only to be moderately counterbalanced in this late section by the stunningly robotic ballad “San Marcos” – curiously and un-intuitively inspired by the Goo Goo Dolls, still according to frontman Kevin Abstract – and previously unveiled lush and swanky tell-all dashboard confessional “Tonya”. All things considered, this major label debut and first instalment in the Best Years of Our Lives trilogy by the Texas-formed, LA-based collective represents a major flag in the BROCKHAMPTON career’s reign, a pivotal artistic landmark cradling inspired and gorgeously experimental sonic territory, forcefully navigated with the absence of a key founding member, but with a wealth of additional wisdom, depth, confidence, and virtue accompanying every steering turn and beat switch. iridescence is a fierce and dead serious candidate for a ton of further AOTY lists to come and a crystal clear conceptual delineation that the boyband isn’t comfortable simply resting on their Saturation laurels. Suddenly it doesn’t seem too crazy that, given ten days locked away in a quintessential Beatles reign creating on a 24/7 rotation basis, BROCKHAMPTON too might be eligible for the aforementioned Rolling Stone qualitative reasoning that worked so well for Macca. At least for now: “Make a list of all the songwriters who were composing great tunes in 2017. Now make an overlapping list of the ones who are still writing brilliant songs in 2018. Your list reads: BROCKHAMPTON”.